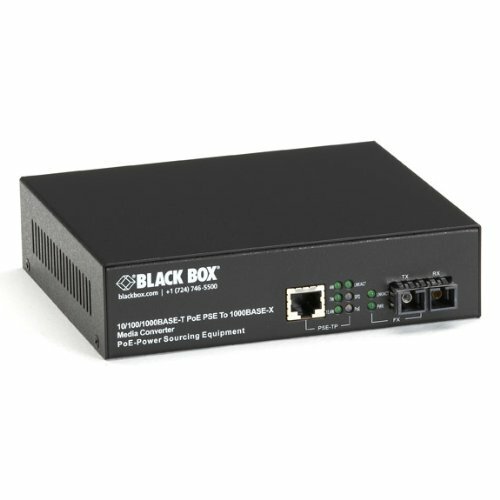 Media Converter Gigabit Ethernet PoE Single Mode 1310nm 10km SC. 10/100/1000Mbps copper to 1000Mbps fiber. Protects against damage caused by overcurrent events and offers undercurrent detection. Link fault passthrough monitors both copper and fiber receive ports for loss of signal. Far-end fault detection prevents the loss of valuable data from it being sent over an invalid link.